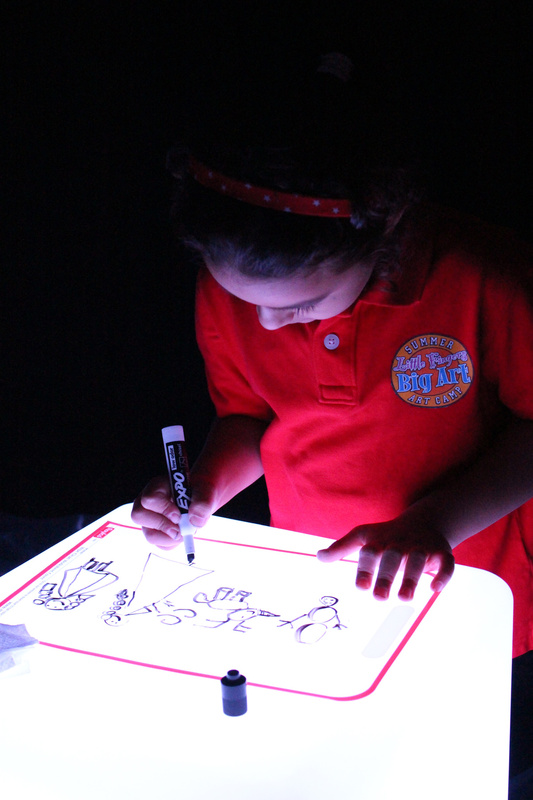 Drawing on the Light Cube can be a calming visual experience. 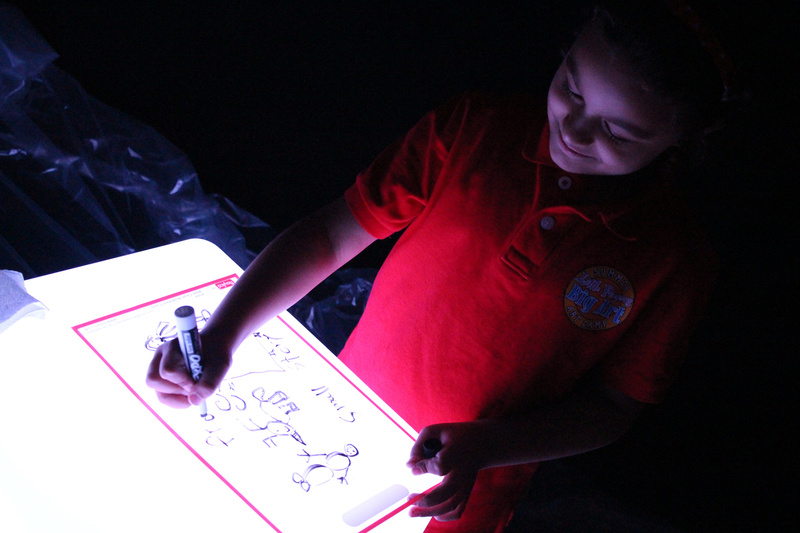 The light’s glow from beneath the drawing board is a great background for tracing! In this segment, we gave our friend Malak a R49620 Dry Erase Worksheet Cover and asked her to draw a special story! Malak was excited to get started but didn’t know where to begin. We started by asking her to draw a snowman, and describe the character to us. “Okay! I can do that!” So as Malak drew, she told us everything about the snowman character she had just doodled. All the characters she drew were from the movie Frozen™. She could name each of them individually and put great detail into their appearances, everything from the various hairstyles to the point of the reindeer’s nose! It’s great working with the Dry Erase Worksheets because they are re-usable. 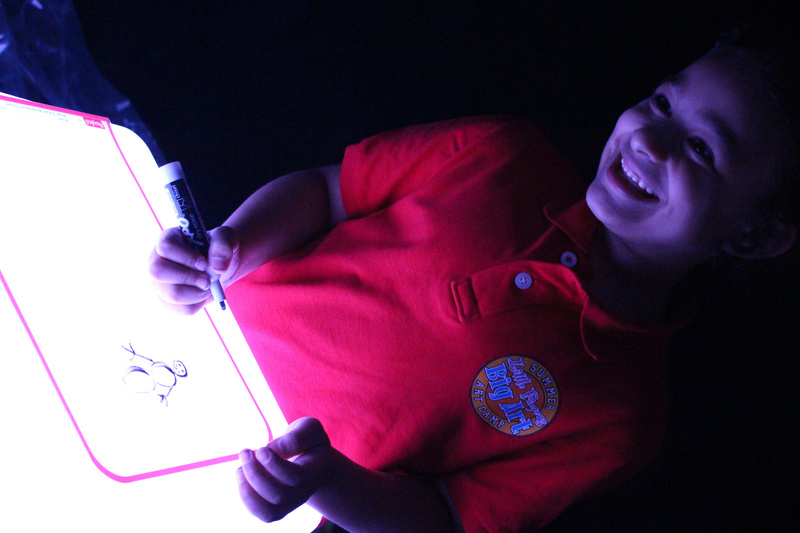 Kids can draw on the Light Cube without having to cover the light with a sheet of paper. If children would like to copy the artwork onto paper, simply place the sheet on top of the drawing and trace. Use a paper towel or a rag to erase the dry erase marker. While Malak spoke about the movie’s storyline, she continued to draw things that related to the movie. Her drawings filled up the full space of the worksheet cover like a visual storytelling aid! It was a great exercise and one you can try with your students, too. 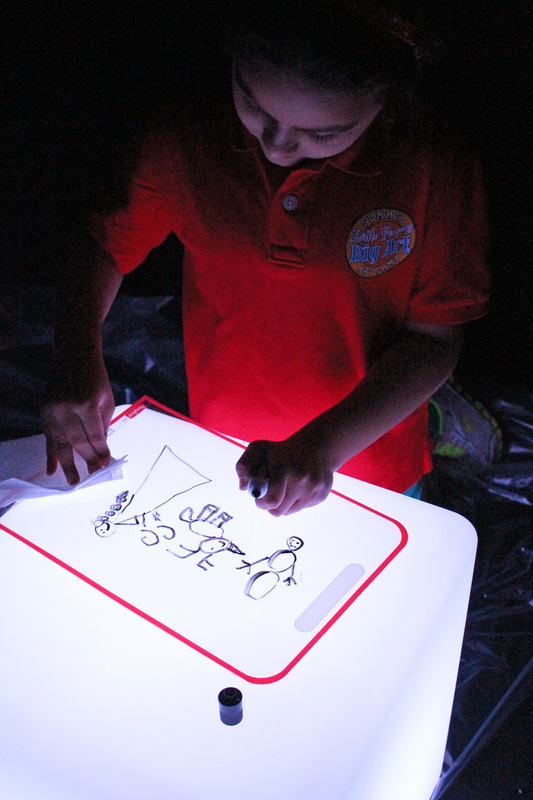 This entry was posted in New, Preschool Play and tagged dry erase drawing, dry erase worksheet covers, light cube, light cube dry erase, light play, light table drawing, tracing on light table by roylcoblog. Bookmark the permalink.